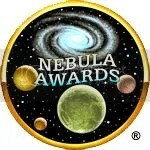 The Science Fiction & Fantasy Writers of America, Inc. has announced the recipients of the 2012 Nebula Awards®. The Nebula Awards® are voted on and presented by the active members of SFWA for outstanding science fiction and fantasy published in 2012. The awards were announced at the Nebula Awards® Banquet held at in San Jose, CA, May 16-20. For more information, go to SFWA. The 2013 Hugo nominees were recently announced, which are listed below, and a number of the books and authors have been featured on Bookbanter. 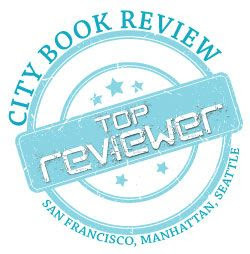 To help you decide who deserves to win, click on the links to the Bookbanter book reviews and interviews. Note: Category has only 3 nominees due to the minimum 5% requirement of Section 3.8.5 of the WSFS constitution. The Science Fiction and Fantasy Writers of America (SFWA) have announced the finalists for the 2012 Nebula Awards, the Ray Bradbury Award, and the Andre Norton Award. The winners will be announced at SFWA’s 48th Annual Nebula Awards Weekend, to be held Thursday through Sunday, May 16 to May 19, 2013 at the San Jose Hilton in San Jose, California. Links are provided to Bookbanter reviews and interviews and noted where applicable. Nominees for the Hugo Awards and for the John W. Campbell Award for Best New Writer have been announced by Chicon 7, the 70th World Science Fiction Convention, to be held in Chicago, Illinois, August 30-September 3, 2012. The Hugo Awards ceremony will take place September 2, 2012. There were 1,101 nominating ballots received from members of Chicon 7 and Renovation. The deadline for online ballots and the receipt of paper ballots is July 31, 2012 (midnight PDT). The ceremony was held less than two hours away from where I currently live, along with the rest of the World Science Fiction Convention, but alas . . . anyways, here are the winners for this yea’s Hugo Awards. I’ve got Connie Willis’s award winners, as well as Lev Grossman’s two books to look forward to. of 2009 or 2010, sponsored by Dell Magazines (not a Hugo Award). World Fantasy Award nominees are up (you can find more info here). Reviews and interviews are linked below! The 2011 Locus Award winners have been announced. For the Science Fiction novel category, Blackout/All Clear by Connie Willis won, which I really think I’m going to have to check out now. Kraken by China Mieville won, which I read and didn’t think was that great or incredible (I actually think Mieville gets a little too much praise and recognition that what he deserves from what I’ve read of him), and honestly I loved the other nominated novel, Under Heaven by Guy Gavriel Kay far more. Super congratulations to N. K. Jemisin for winning First Novel for Hundred Thousand Kingdoms, totally deserved it! And Warriors edited by George R. R. Martin and Gardner Dozois won for best anthology, which is good, because it was a truly great anthology. BookBanter Book reviews and interviews are mentioned and linked next to the author and/or title.